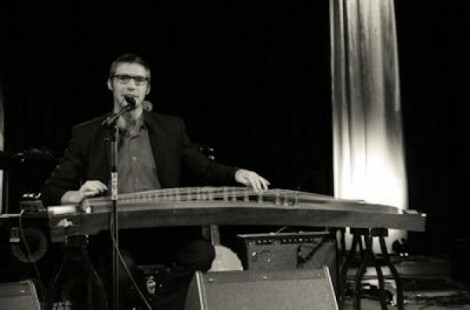 First on the night's bill was Americana-Chinese-folk-outfit Matteo. They present their music beautifully on record, and that quality transfers to their live performances, despite a couple of timing hiccups. In person, their pan-Pacific sound washes over you like a curdling eddy in the Brocade River. 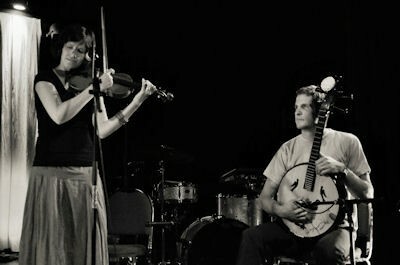 “Please” was a perfect first tune for audience members unfamiliar with the band, a gorgeous slow-build song featuring Western instruments plus the Chinese banjo. After following up with the track “Brocade River Barcarole,” Matteo invited a couple from the audience to join them onstage. On Matteo's recent Sichuan Project record, the track “Childhood” features field recordings of chirping birds and a crying baby. Eric explained that the gentleman he'd invited up would whistle to fill in for the birds as the band performed “Childhood,” while the young lady would do her best to make a Tibetan singing bowl sing. It was a novel though mildly successful experiment. And then, Eric announced that jig was up. The experiment was, in fact, a ruse. The gentleman from the audience announced that, at a Matteo concert last year, he'd heard the music and looked at his longtime girlfriend and realized he wanted to spend his life with her. On Saturday night, he got down on one knee between a guzheng and a liquin (both traditional Chinese instruments), held out a small, hinged box and proposed. 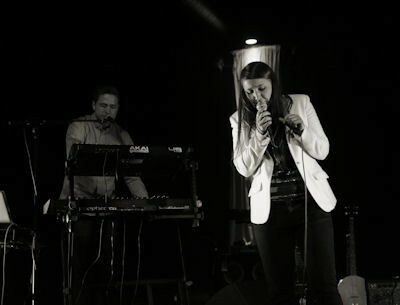 The crowd grew by several factors for Provo-scene darlings Mideau's mid-gig set. Keyboard/synth wizard Spencer Harrison's dense, electronic compositions and Libbie Linton's exquisite voice comprise a duo that can put out an intense and body-thrumming sound. I didn't catch the drummer's name (was it Fictionist's Aaron Anderson? ), but he deserves much props for propelling the band's tunes with mad work on both the skins and drum machine. 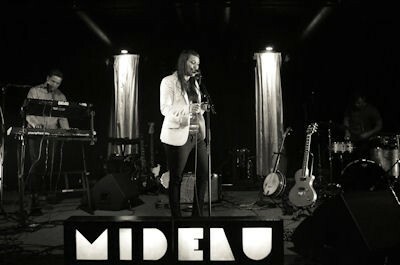 Mideau's cover of “Dream a Little Dream of Me” was easily one of the night's highlights. It's a nearly perfect song on its own, but Linton made it her own with a version that was perfectly tuned: moody, oneiric, drowned and drowsy, sleepy and slow, with deeper and more intense bass than that song has ever heard. Despite Linton's own attempt to recruit a couple to get hitched onstage during their set, no takers emerged. Mideau is undoubtedly one of the best bands playing in Utah right now, despite the fact that they have yet to put out a full-length LP. There's so much to like about this band, and yet, something was missing. Time and time again, their songs seemed on the verge of explosion or breakdown, yearning to be pushed just a little bit more, over the edge, to really, truly rock. But for whatever reason, they exercised restraint and refrained from turning it to 11. Given the right producer, Mideau could realize a truly awesome sound that would gain them even wider acclaim. Capping the night, Rob LeCheminant led his extensive outfit through an ambitious set that won over the now-packed crowd. Live, L'Anarchiste is as dense and complex as their French name is difficult to pronounce. 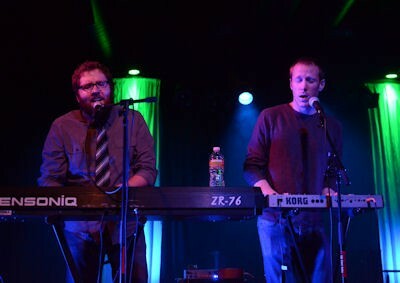 They, too, were unable to convince anybody to get hitched during their set. 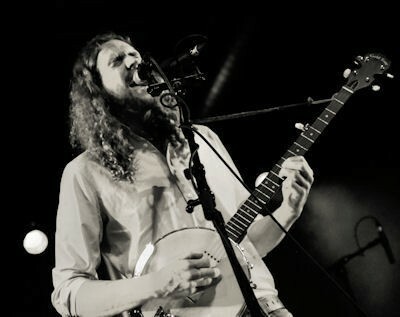 L'Anarchist's lengthy, epic-folk compositions are almost post-modernly maximalist, and nowhere is that better illustrated than in the nearly nine-minute song “Iron.” When LeChiminant and his five-person entourage hit the breakdown in that song, the vibe at The State Room went cosmic. It's just a shame the melodica was drowned out in the mix -- melodica should always be front-and-center in the mix; just ask Augustus Pablo. Oh, and by the way: She said, "yes." So, there. Matteo is for lovers and, by proxy, so, too, are the CWMAs.